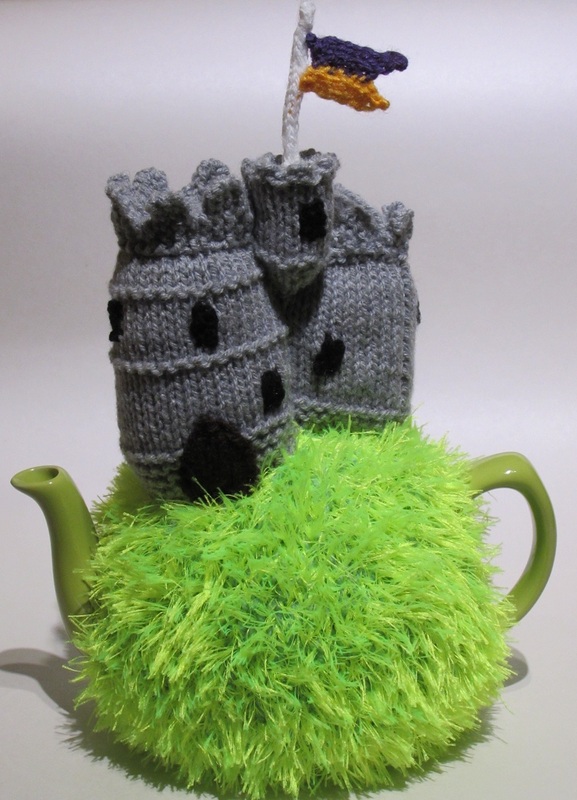 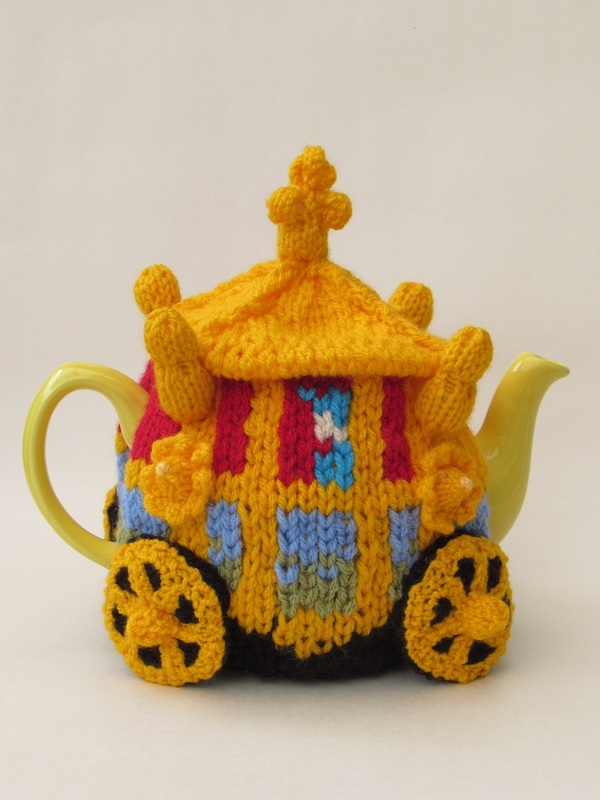 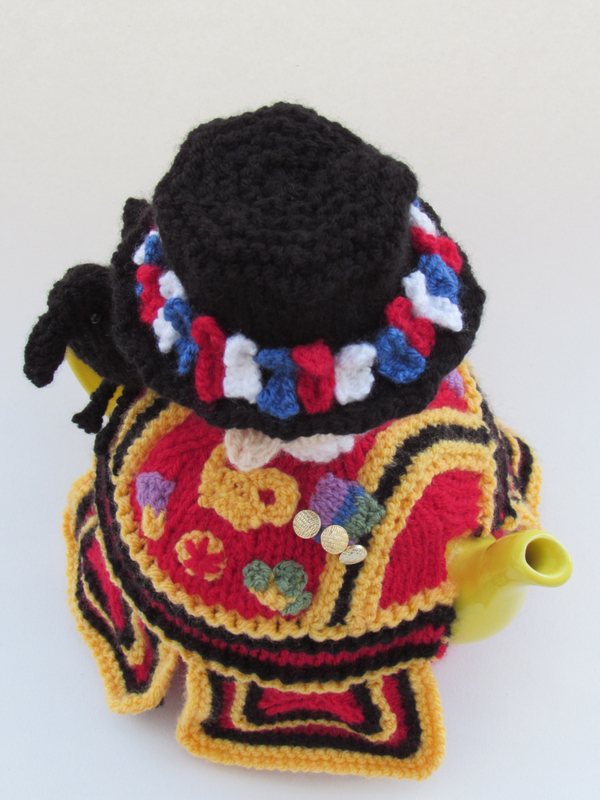 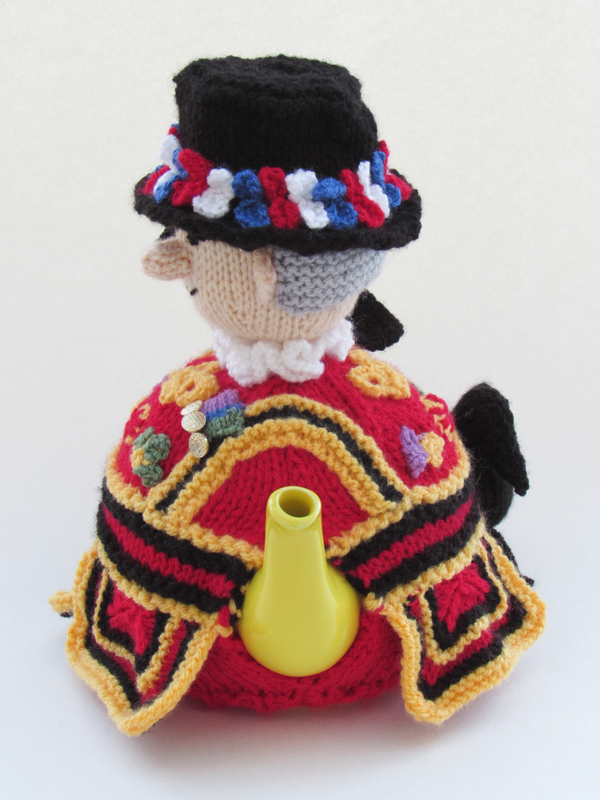 The Beefeater tea cosy is a design based on the Yeomen Warders at the Tower of London. 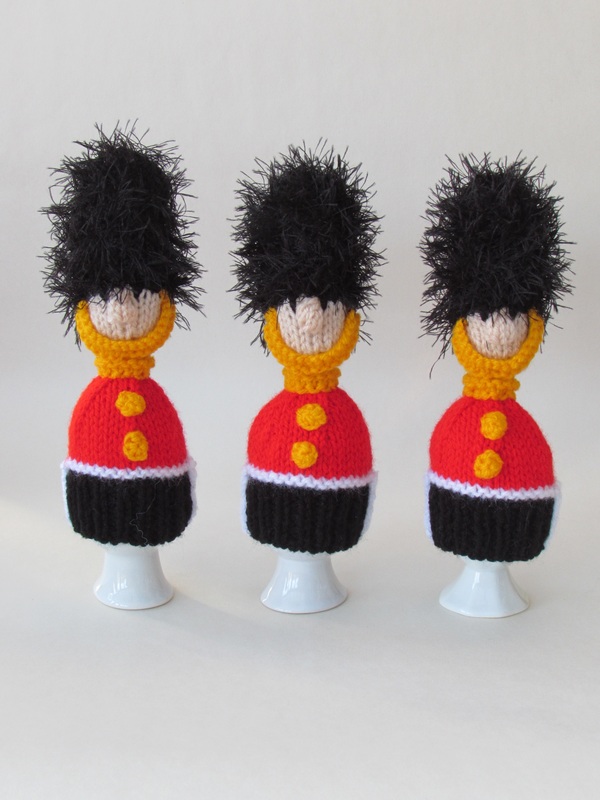 They are such lovely iconic figures and they uniforms are quite over the top by today's standards and really hark back to the Tudor times. 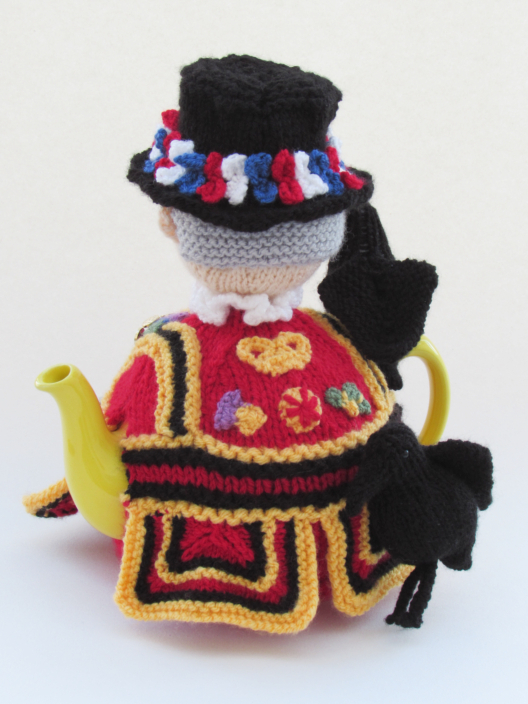 The Beefeater tea cosy is an older fellow with silver hair. 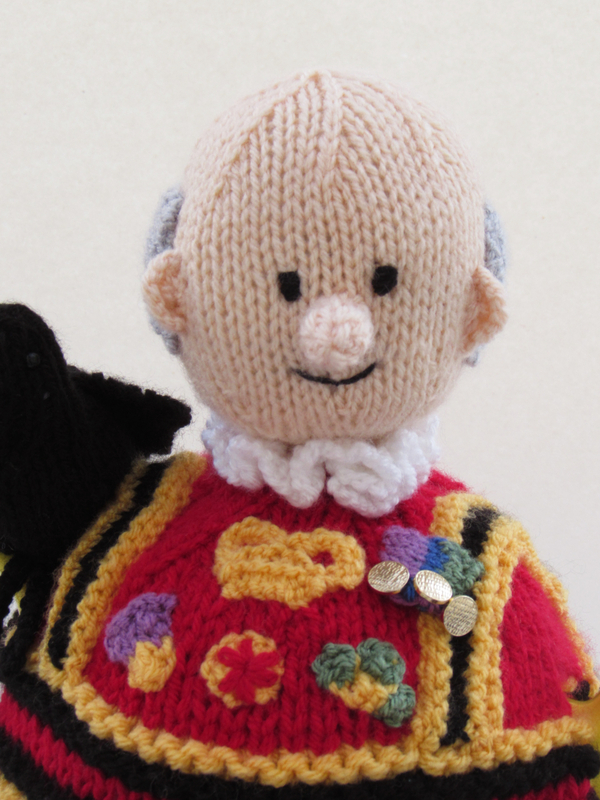 He's wearing the state dress uniform - the posher uniform that the Yeomen wear, so it's obviously a special occasion. 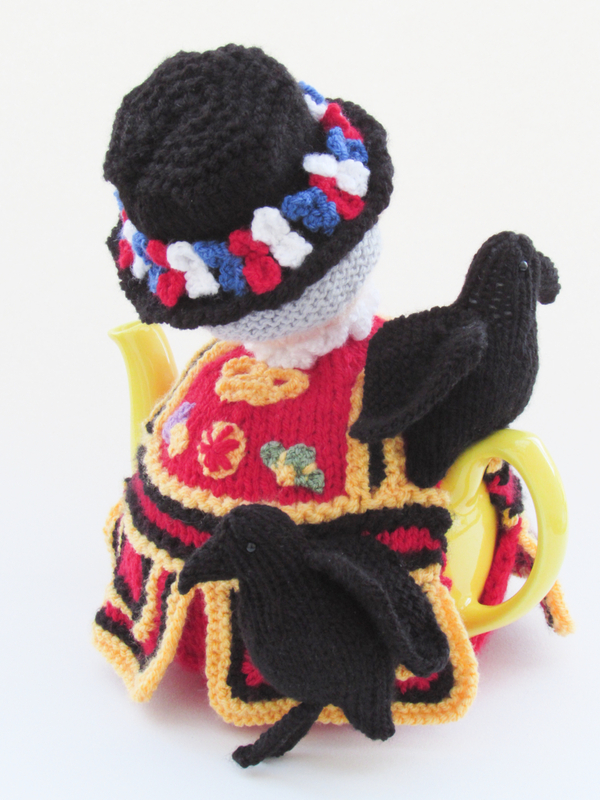 His uniform is red, gold and black and on the front her has emblems of the Tudor rose, a thistle and a shamrock, below the crown. 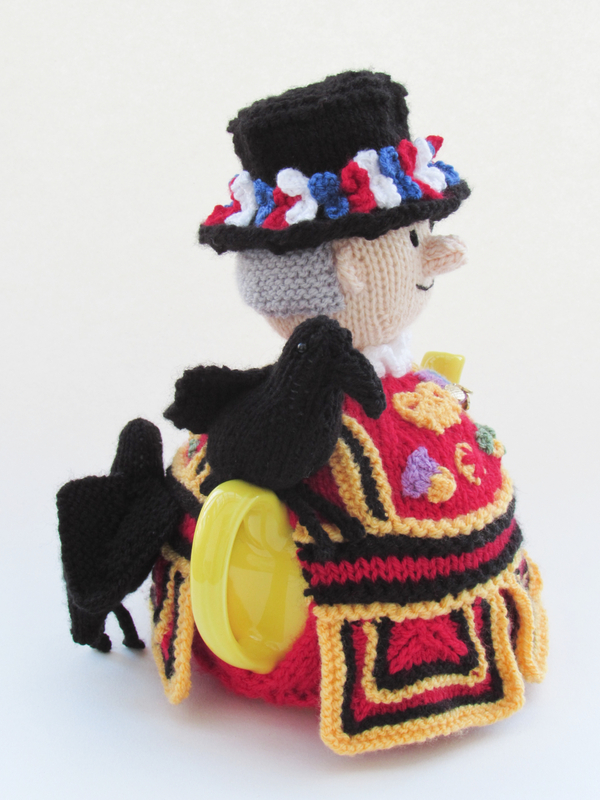 He's a brave chap because he is decorated with medals. 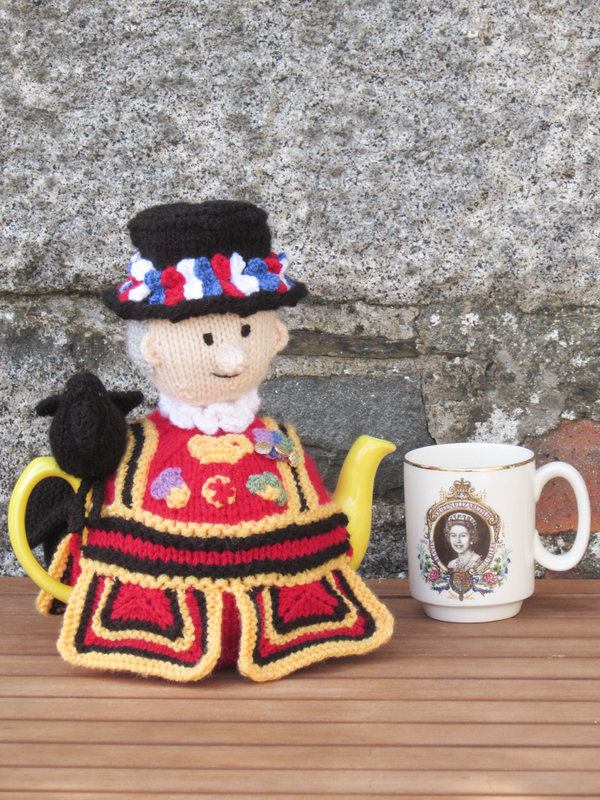 He is wearing a white ruffle collar and a black hat that is embellished with red, with and blue bows. 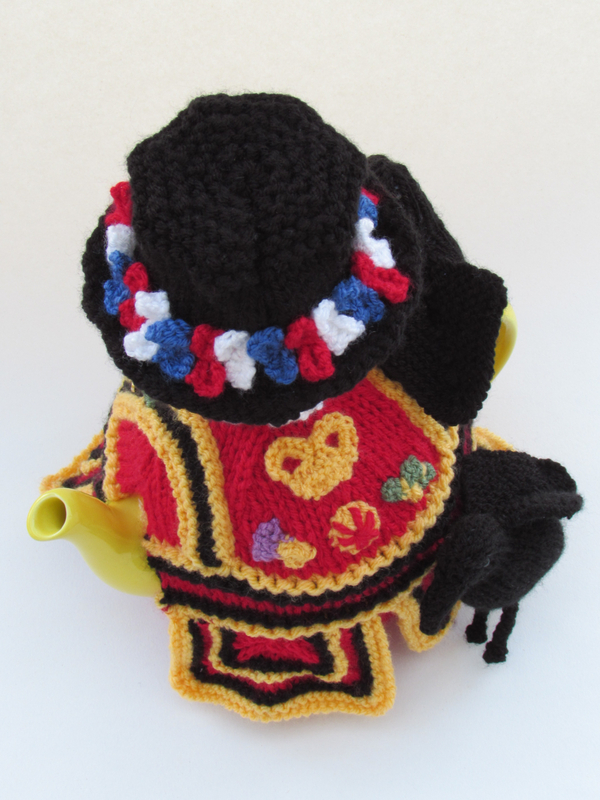 His hat is removable, just for a bit of fun. 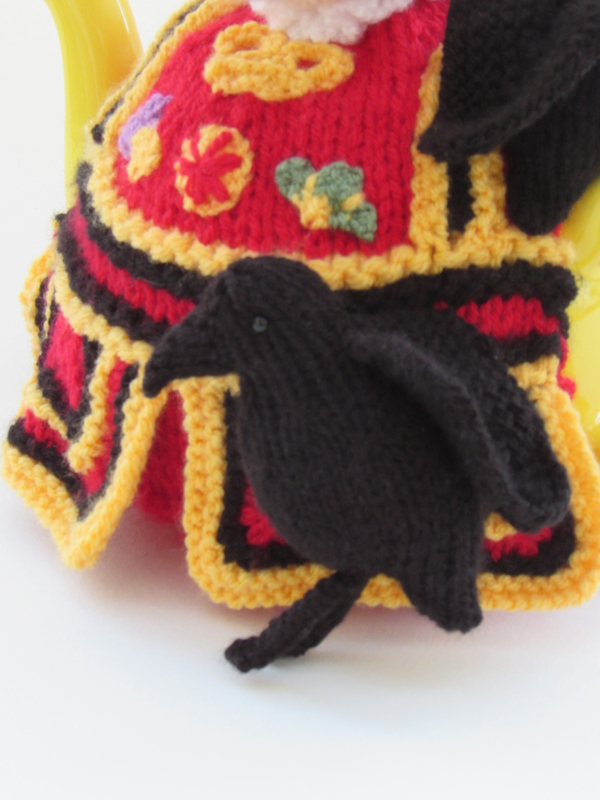 With the Beefeater are two ravens, the guardians of the Tower. 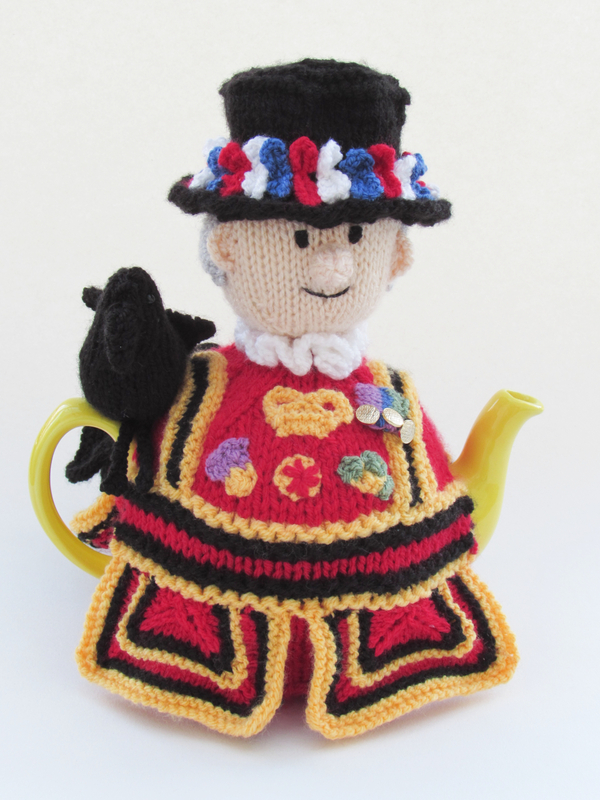 They add interesting characters to the cosy. 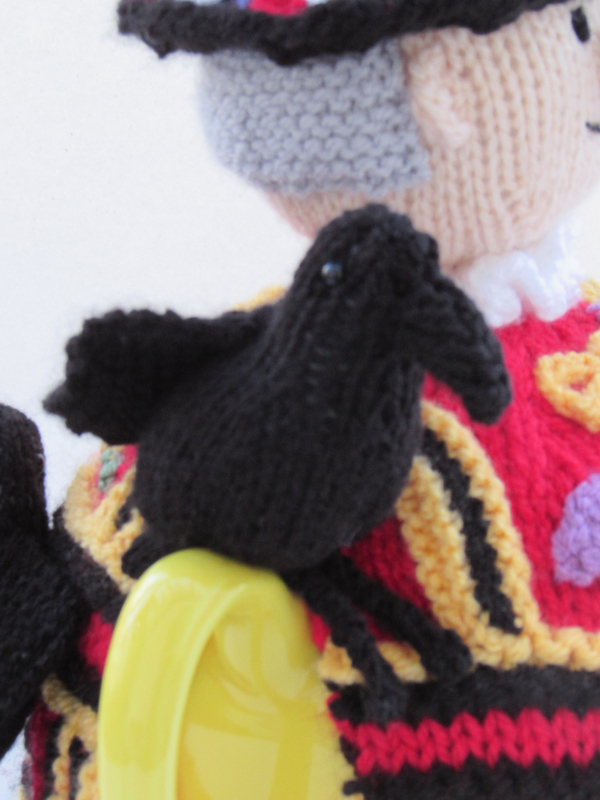 Maybe they are feeling peckish and are telling the Ravenmaster it's lunchtime? 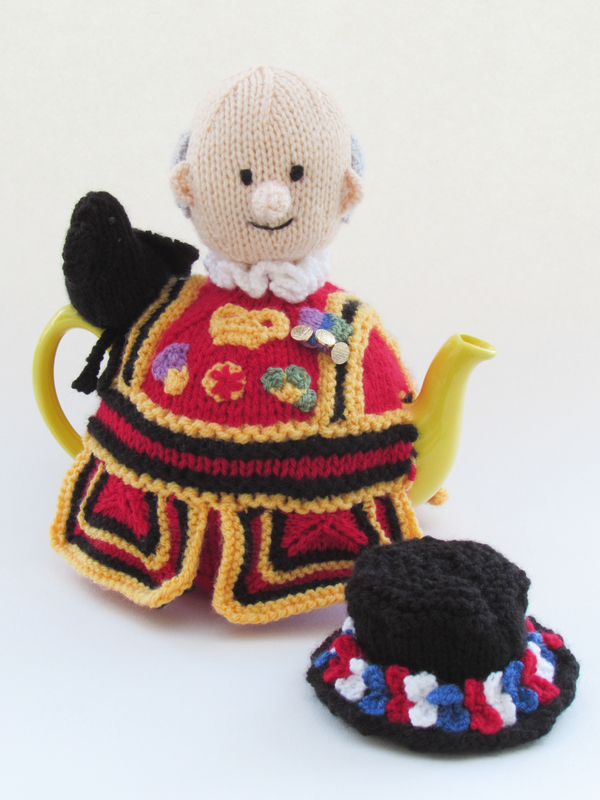 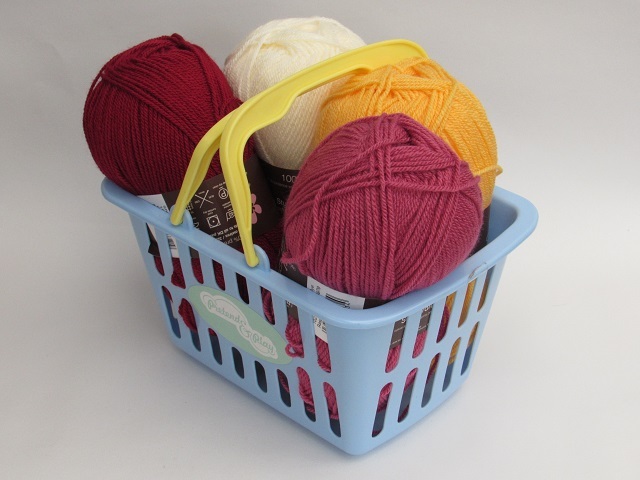 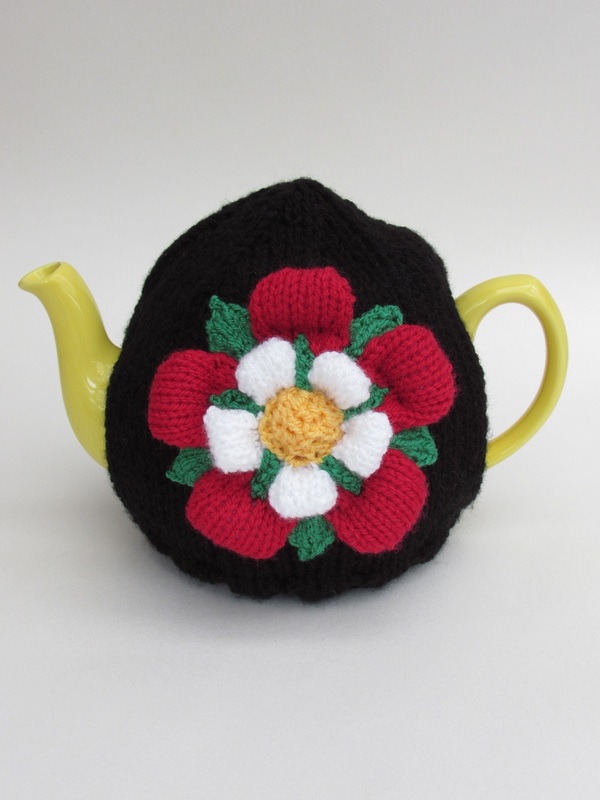 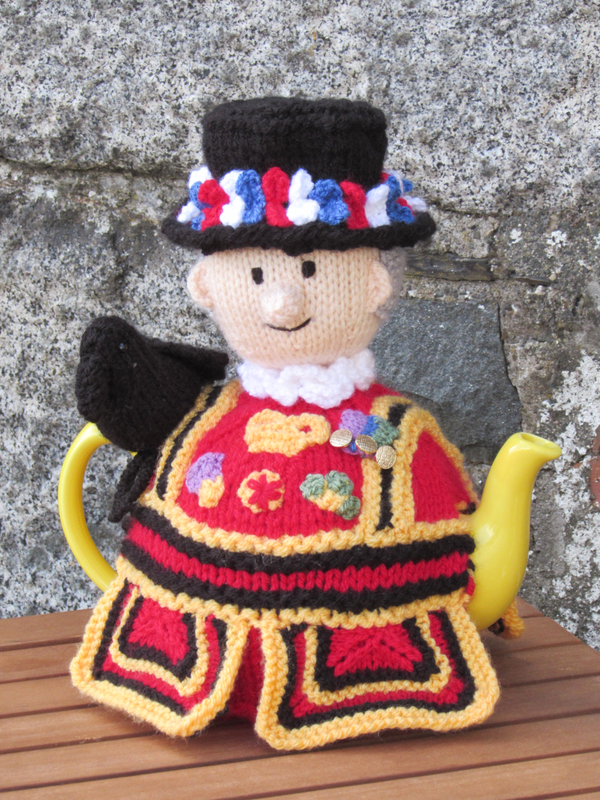 The Yeomen tea cosy is a lovely tea cosy to make, and it feels quite patriotic and traditional.